"A story of secrets, lies and lost innocence. MADRAS, 1910: Posey Swift and Tilly Sweetrick are caught up in a scandal that will change their lives forever. Singing and Dancing across a hundred stages as members of a troupe of Australian child performers, they travel by steam train into the heart of India. But as one disaster follows another, money runs short and tempers fray. What must the girls do to protect themselves, and how many lives will be ruined if they try to break free?" I was drawn to this by the blurb. I'm kind of fascinated by the idea of historic themed books, especially with a theatrical plot. I adored Ballet shoes and have been searching for another on those lines for a long time. Now this story is very different to Ballet Shoes and so my comparisons to that ended pretty quickly. For starters I want to say I love the page settings of this book. The edition I had, starts with a program style page listing all the characters and their ages. 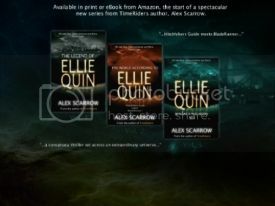 Its such an eye catching way to start and is also really helpful with trying to get to know the characters of which there are A LOT in this book. You read from the perspectives of two characters - Poesy & Tilly. Two quite different characters, that see things quite differently. I did sometimes wonder who narrated things in the correct way, but I think it becomes more evident as the book concludes. The book deals with Children being away from parents under the supervision of someone that to be honest is not up to the job. You quickly get to read the losing of innocence the children have that is rather disturbing. I felt a great sadness for the characters, particularly Poesy. The story builds its suspense nicely. I kept wondering how it was going to play out. The book ties up nicely with an absolute resolution, that I was very satisfied with. The only thing with the story that made me curious was that it sounds like some electrical things were used, that I wouldn't have thought would have been used back in 1910. I of course am probably very wrong, I'm definitely no encyclopedia on all things. I really need to look into it more now. 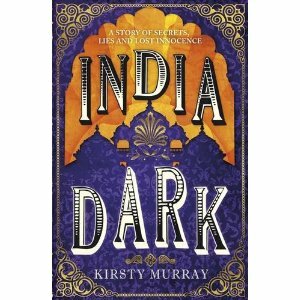 My blog is taking part in the India Dark Blog tour, which kicks off in January. Please Come back to hear from the author and the chance to win your very own copy of the book!!!! !